Last week I shared with you all a board-game I was sent to review that's perfect for any lady and her group of friends. 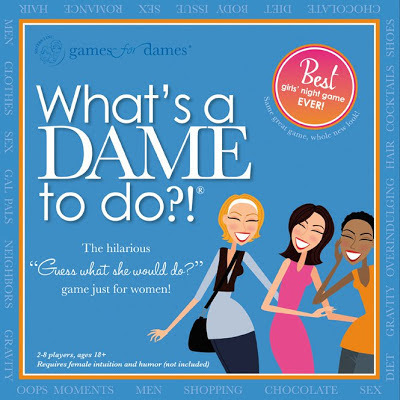 This week I'm excited to tell you all that the ladies over at Games For Dames would like to offer a chance for one of you Just Us Girls readers to win the board-game, What's A Dame To Do?! This is such a great game you can play with the ladies that know you best in your life. It will definitely keep you laughing, entertained and wanting to play for hours. So feel free to enter the giveaway below and do check out the Games For Dames ladies on their website, Facebook and Twitter!